Today was the first day of the Florida International Airshow here in Punta Gorda. Unfortunately, the government sequestration meant that the Blue Angels wouldn’t be flying, nor the F-22 or the Heritage flight. Without the big jets, an airshow loses some of it’s appeal. That doesn’t mean that the show can’t be exciting though. We did have the Aeroshell Aerobatic Team and Jane Wicker, Wingwalker. 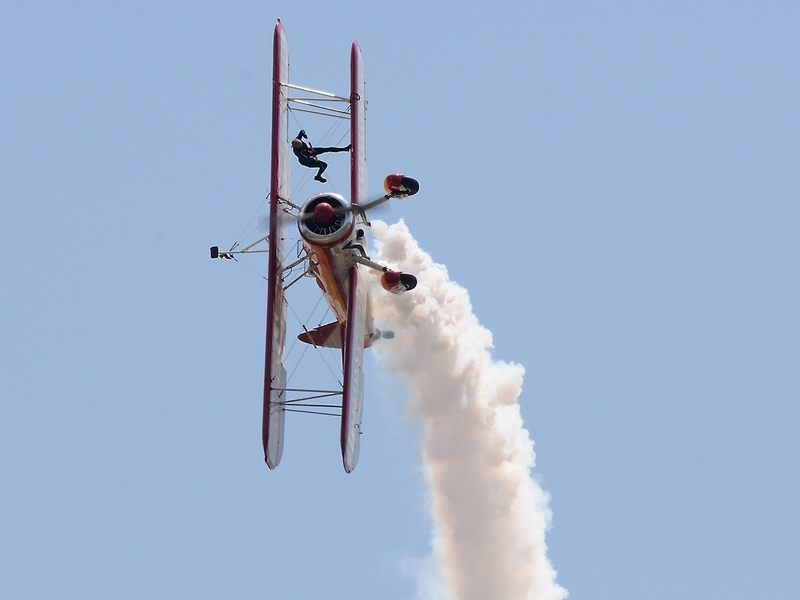 Her show was particularly spectacular because she doesn’t use a safety line while actually walking between the wings of her Stearman biplane, Aurora, and hanging off the leading edge. 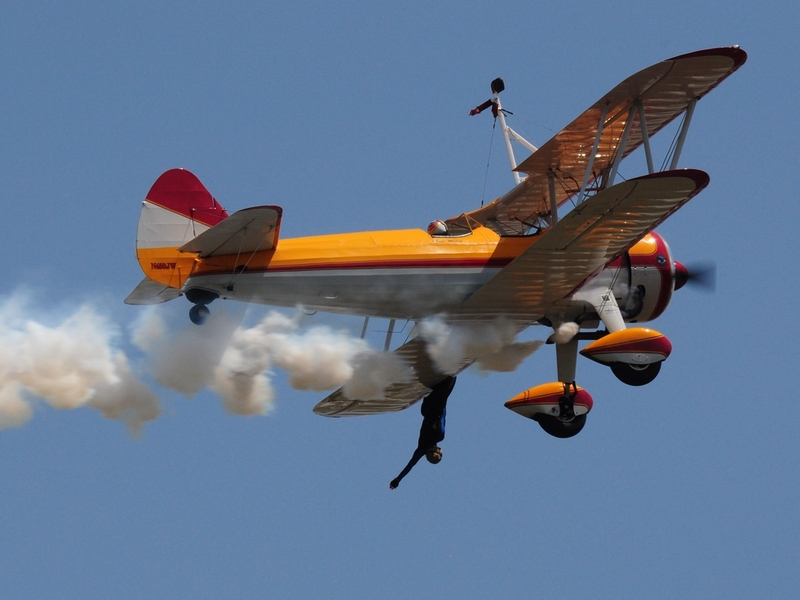 This happens while the Stearman is being flown though a variety of aerobatic maneuvers. Here are a few shots from her show. A really, really impressive show. 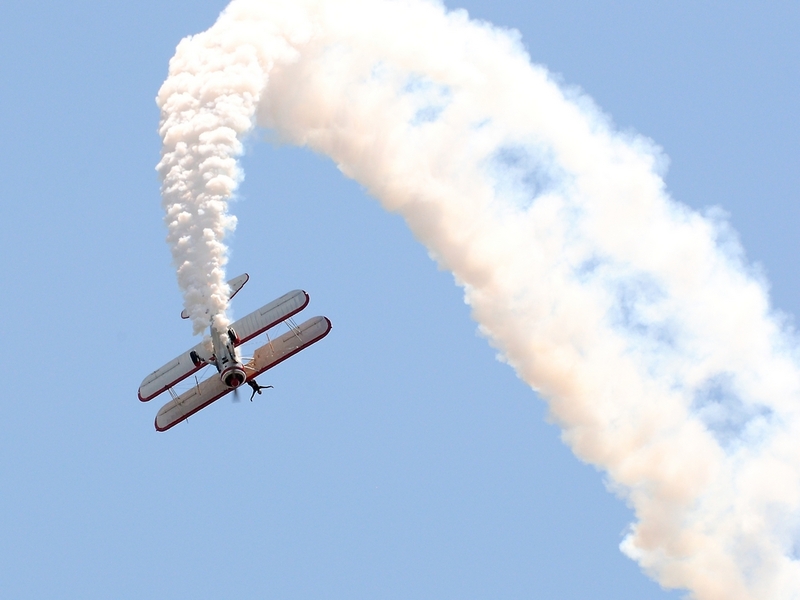 This entry was posted in Airshow, Event and tagged airshow, Aurora, florida international, Jane Wicker, Punta Gorda, stearman biplane, wingwalker. Bookmark the permalink.